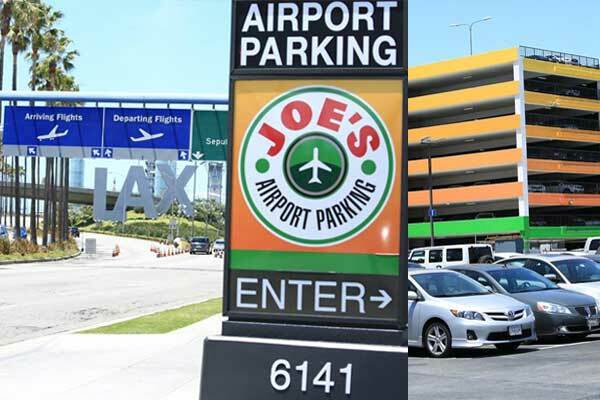 Joe’s Airport Parking is a premier car parking facility located at the entrance of LAX (1/2 block from LAX) so you can drive yourself and park with ease. Joe’s Airport Parking operated by friendly and professional employees and offering prompt services for covered and uncovered airport parking at LAX Airport area. Reserve Joe’s Airport Parking at Los Angeles International Airport (LAX) from $14.95 per day. Best rates, free round trip airport shuttles. Covered Self Parking $17.95 / day + Plus airport taxes and fees. Discount Lax Parking – Outdoor Self Park (Daily) From $14.95 at way.com lax parking. ** Minimum 1 day of booking required; daily prices may vary. 6151 W Century Blvd, Los Angeles, CA 90045.